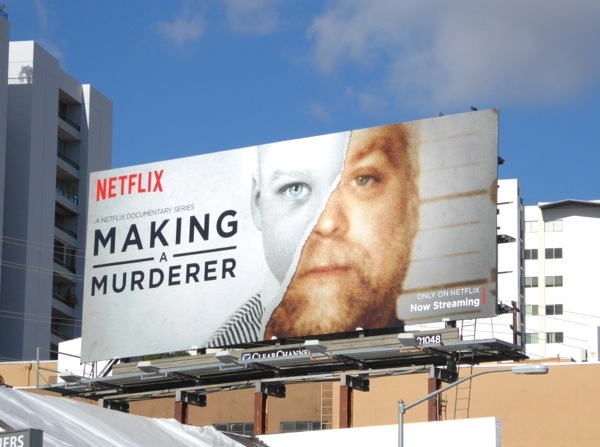 Real-life crime is becoming big business of late and not just for the lawyers, but also as TV viewing on the small screen. No doubt the popularity of true crime investigative journalism podcast, Serial, has spurred on other content providers to take advantage of this new demand for grisly real-life stories. 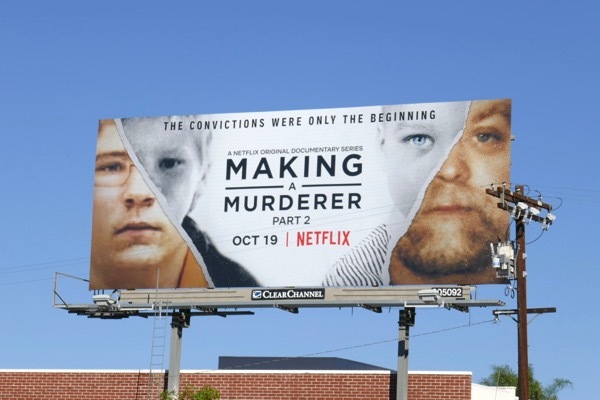 Netflix's controversial ten-part documentary series, Making a Murder, has been extremely popular with streaming audiences. 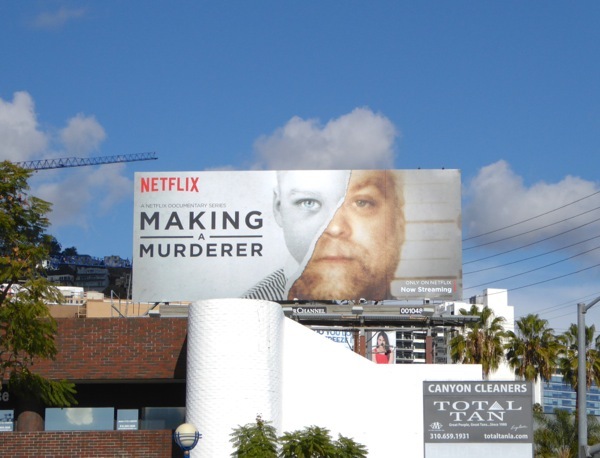 The bingeable series follows the story of Steven Avery who was convicted for nearly two decades for a crime he didn't commit, however exonerated by DNA evidence, he soon found himself behind bars again along with his nephew, Brendan Dassey, for the murder of 25-year-old photographer Teresa Halbach in 2005. The docu-series suggests a litany of planted evidence, forced confessions and poor practices by the law enforcement officers involved, but that is countered by the evidence that some feel was omitted in the making of this television series. Guilty or not guilty, regardless of the truth, it makes for great television, social media debate and publicity for Netflix. Meanwhile over on FX, they are taking the anthology approach made popular by American Horror Story and applying it to true crime cases with American Crime Story. 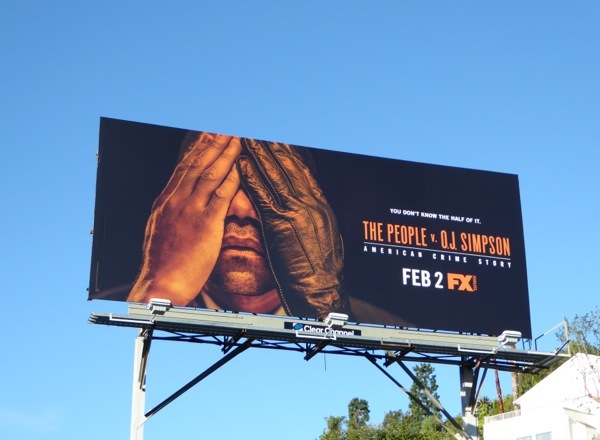 First up will be The People v. O.J. 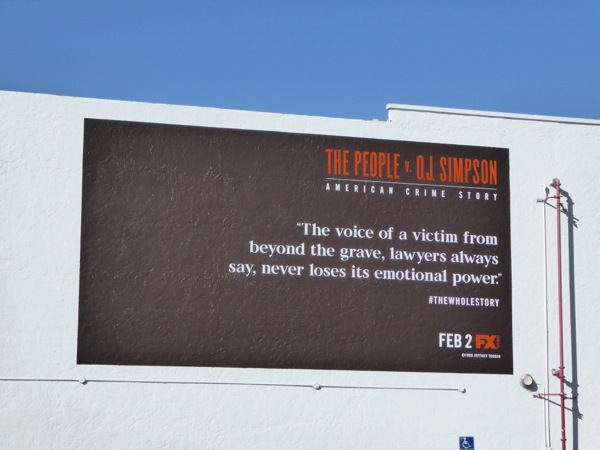 Simpson, which focuses on one of the most notorious murder trials in U.S. history, where the deaths of his ex-wife Nicole Brown Simpson and Ronald Goldman in 1994, led the LAPD to accuse former professional football player-turned-actor O.J. Simpson of their murders. Cuba Gooding, Jr. will star as O.J. Simpson, whilst Sarah Paulson will play prosecutor 'Marcia Cross' and John Travolta will return to TV to play 'Robert Shapiro', the lawyer who successfully defended O.J. in the 'Trial of the century'. Let's just say the "Not guilty" verdict is still one of the most controversial and shocking results of all time. 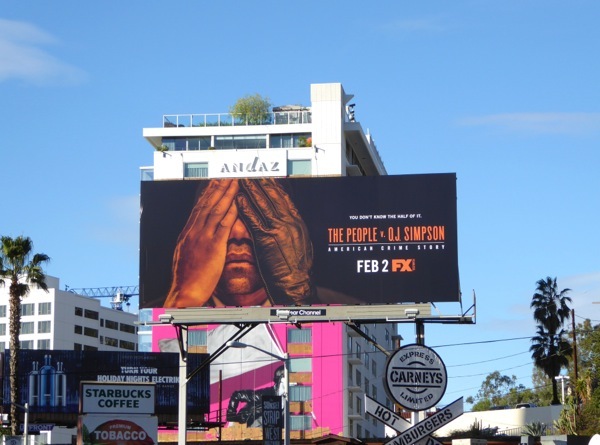 Billboards for both series were first snapped along Santa Monica Boulevard and Sunset Boulevard in West Hollywood on January 7, 2016. Meanwhile the quote wall mural for the O.J. series was spied along Melrose Avenue on January 27, 2016. 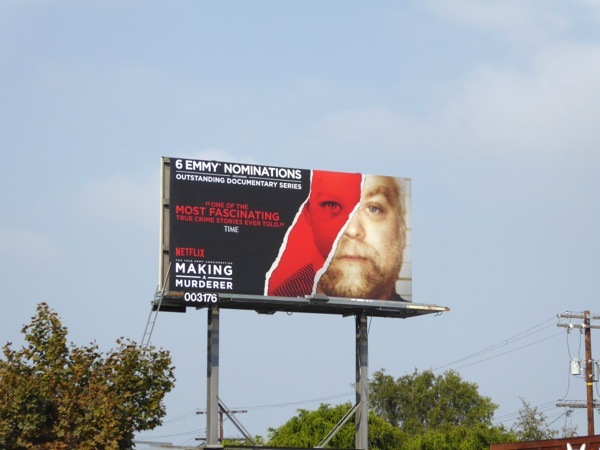 For similar true crime tales, be sure to also check out these billboards for The Jinx: The Life and Deaths of Robert Durst. 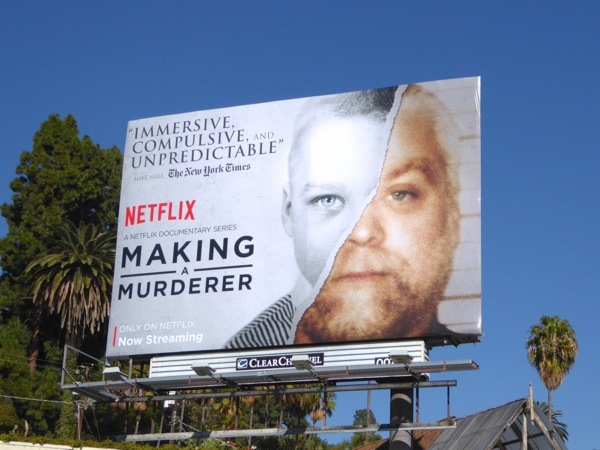 With all the procedural crime-of-the-week cop shows on TV these days regurgitating the same old plotlines, it's no wonder that audiences have turned to these sensational cases to satisfy their cravings for true crime stories and the chance to play judge, jury and executioner (or liberator). UPDATED: Here's also another O.J. 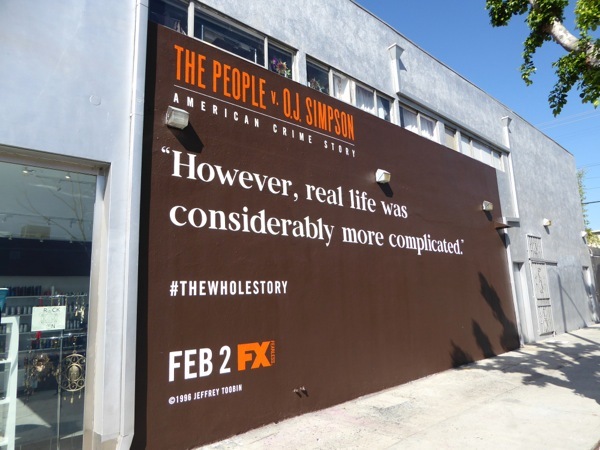 wall mural quote spied along Melrose Avenue on February 19, 2016. 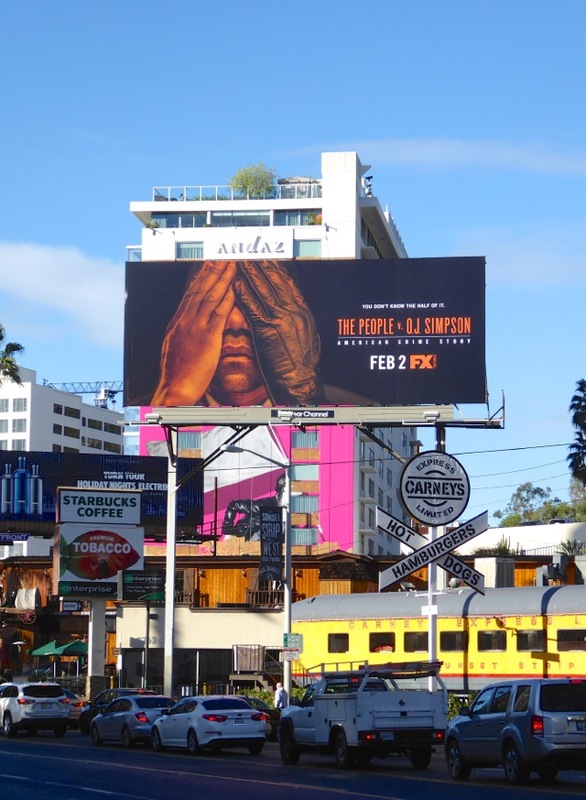 UPDATED: It's awards campaigning season again in the skies of L.A. and here are two billboards to garner Emmy support for FX's The People v. O.J. Simpson. 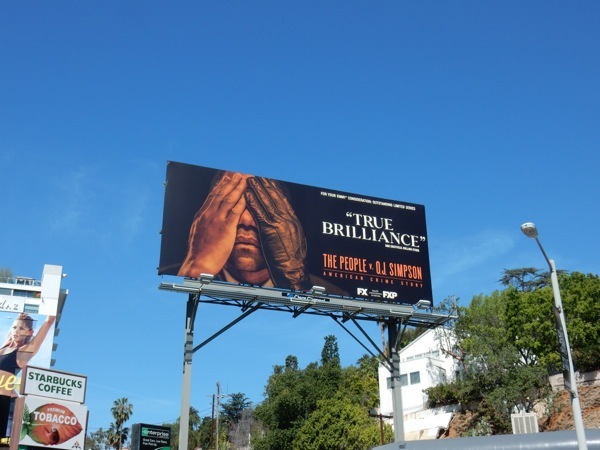 Both these 'True brilliance' billboards were snapped above West Hollywood's busy Sunset Strip on May 3, 2016. 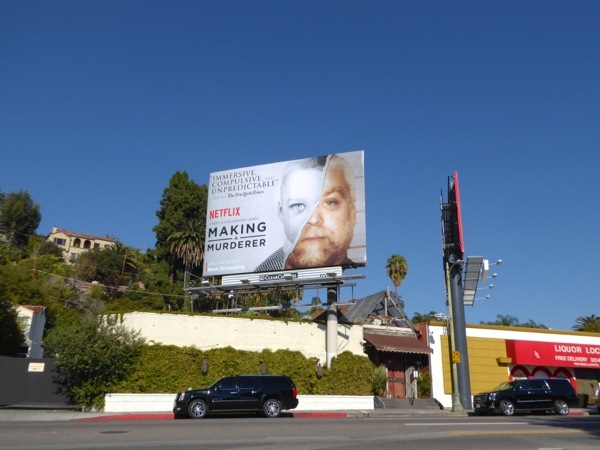 UPDATED: Not to be outdone, here's also an Emmy consideration billboard for Making a Murderer snapped along La Brea Avenue on June 2, 2016. 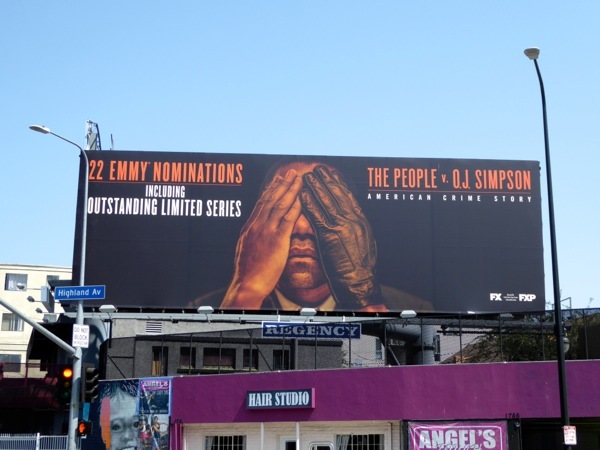 UPDATED: Congratulations to FX for the twenty-two Emmy nominations for The People v O.J. 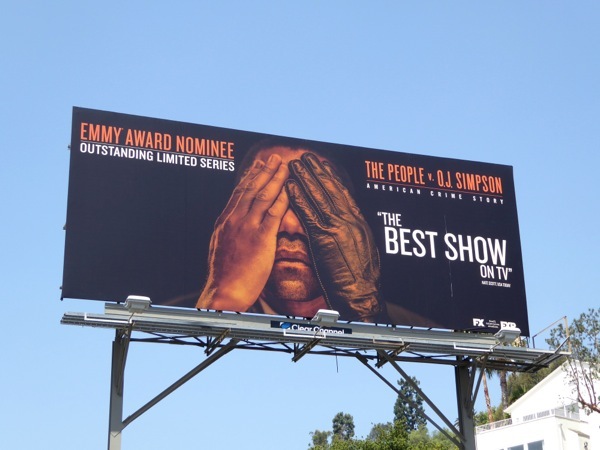 Simpson and to celebrate and further campaign for votes, here's a new Emmy nominee billboard spotted along the Sunset Strip on July 16, 2016. 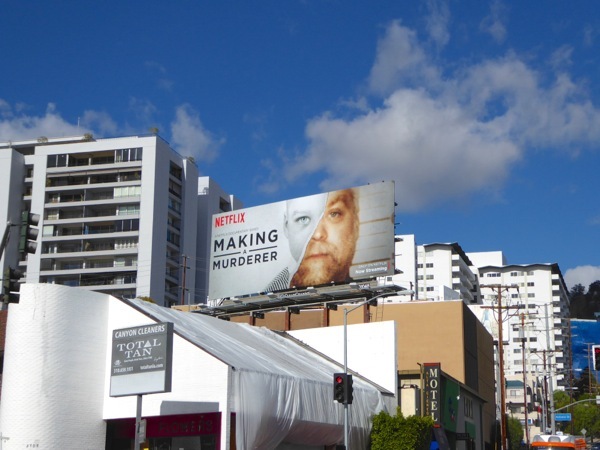 UPDATED: Here's another slightly different Emmy nomination billboard spied at the busy Hollywood intersection of Highland and Franklin Avenues on August 23, 2016. 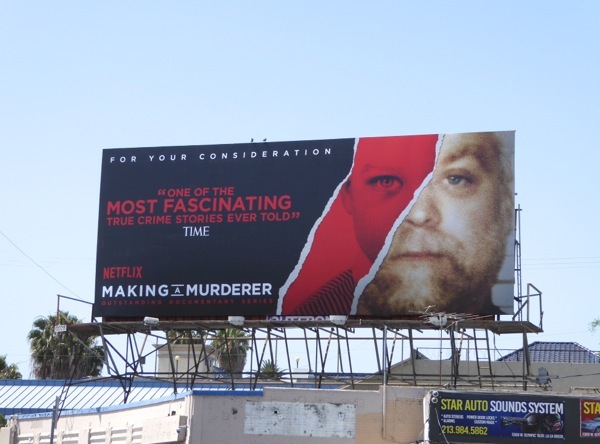 And FX isn't the only one supporting its real crime story, with Netflix also trying to garner votes for Making a Murderer, which has already achieved the most amazing result, by getting the conviction of Brendan Dassey overturned. 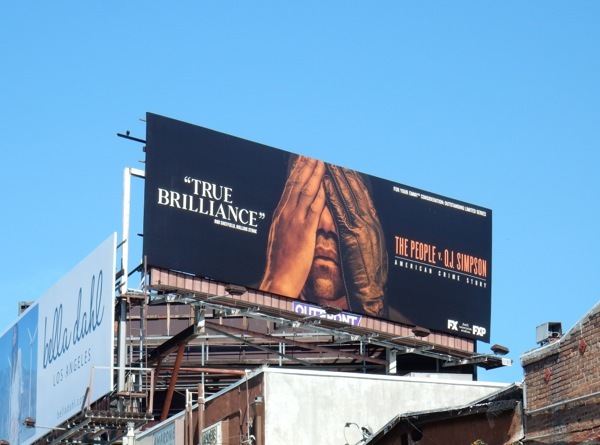 This small Emmy nomination billboard was spotted along Pico Boulevard on L.A.'s westside on August 25, 2016. 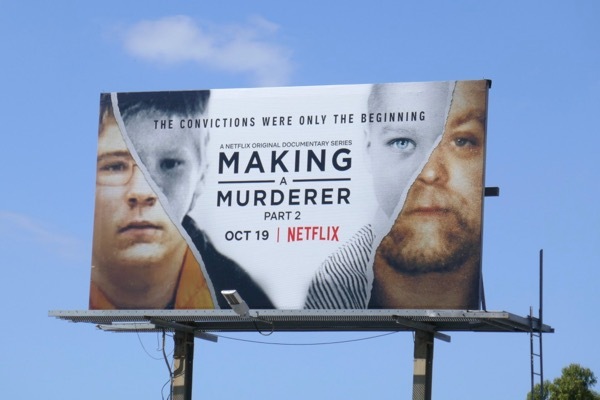 UPDATED: Making a Murderer is back for a Part 2 with ten all-new episodes exploring Steven Avery's conviction and his co-defendant and nephew Brendan Dassey, as well as the impact on their families and legal teams. 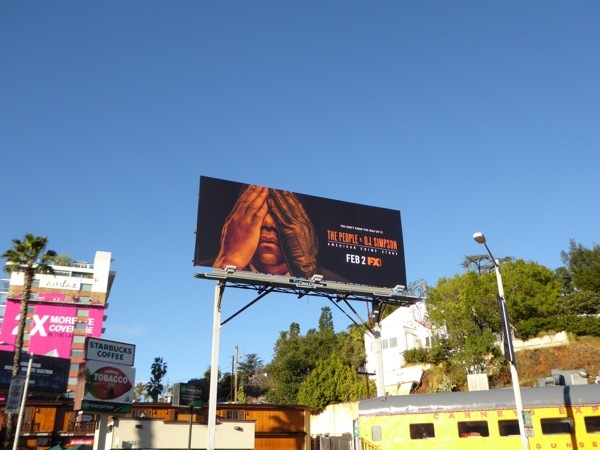 This billboard was snapped along Melrose Avenue on October 11, 2018. Plus here's also a larger version spied along Ventura Boulevard in Sherman Oaks on October 18, 2018.